in the Member States that needed financial assistance. supervision. Whether this becomes a more general trend remains to be seen. monetary union is finalized, nor that no financial crisis will ever rise again. of economic policy and what instruments has it gained? monetary policy, general economic policy. and sale of marketable instruments, the second is to conduct credit operations. with regard to monetary policy. Then came the euro-crisis. economic policy, but the line between the two seems vague. implications for the price stability goal. case it became clear that these operations may have economic effects (para. Court also accepted the role of the ECB within the so-called Troika. remaining option is to classify them as in support of general economic policy. Weiss – the last chapter? programme the PSPP volume was a rough 81% of the total purchases. 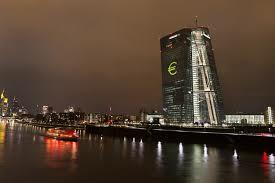 difficult to find a body appropriate to “second-guess” the ECB’s decision-making. purchase for the primary actors (para. 110). incentives for individual Member States to keep a sound budgetary policy. organs within the EU to check the details of ESCB decisions. bank it is difficult to imagine that this level of independence was desired. ECB to a heightened standard of review —to hard look review. this question here, but first we turn to the case. the leverage ratio of an institution. it argued that the institution remained globally liable for these exposures. by 50% from such refusal, challenged this decision. entity were immaterial for the assessment of the institution’s liquidity ratio. the application of the exemption was therefore annulled. respect to its discretionary powers in the field of banking supervision. given subject) appear to be reasonable. review of discretionary administrative action applies.